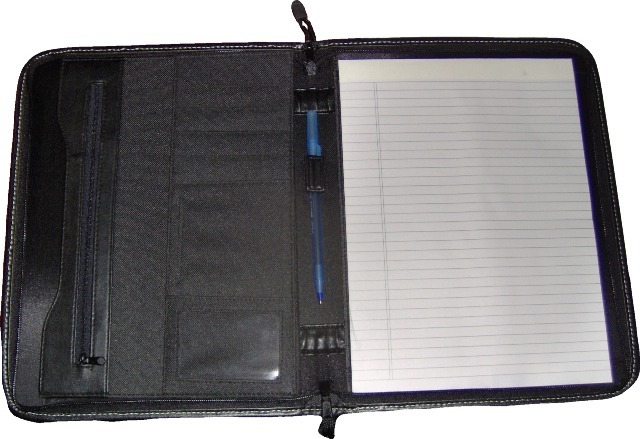 These wonderful zippered portfolios have your organization's letters proudly displayed on the outside, and a world a features on the inside - organizer, pen holder, business card/id section, letter-sized lined notepad, and pockets! 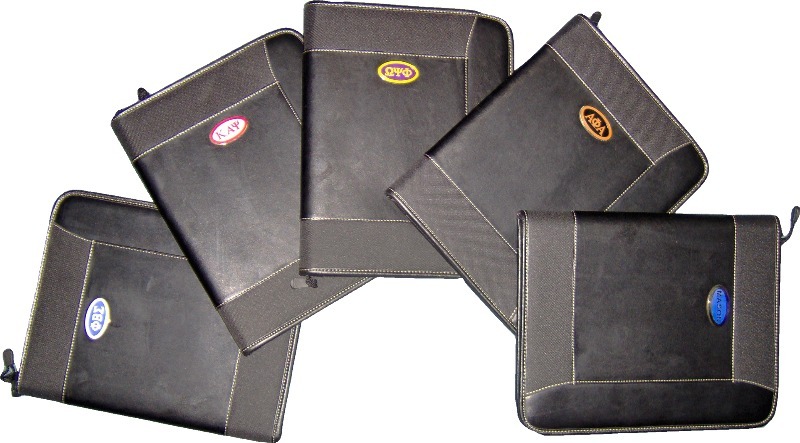 Zip it all up and carry it in style, inside this leather-look portfolio. Click on any picture to enlarge it.